Check Resource Scheduler for available dates. Click the link to complete the student request form. Once you complete the form, you will receive an email confirmation of your request and the request will be sent to the Director/Asst. Director of Student Activities and the Director of Special Events for approval. After getting approval from all service providers, an events representative will book your event. Once your event has been scheduled and approved, then you will receive an e-mail confirmation from an events representative. You will work on all further event details with an events representative. Events will strive to accommodate specific building/room requests.However, students need to read these e-mail confirmations carefully, as requested buildings/rooms are not always available. In those cases, events will place the event in a comparable space based upon event needs. In addition to building-specific guidelines that may affect your event, the University has general rules and regulations that apply to all student activity on campus (regardless of venue). These regulations are dictated by the Office of Student Engagement and can be found in the 2015-2016 Student Handbook. Do not assume receipt of the event request form equals confirmation. Your event is not confirmed until Events receives the completed form and notifies you of approval. Do not send out invitations, make fliers or programs, place rental orders or confirm catering until you have received confirmation from Events that your event is approved. Events reserves the right to cancel the reservation if it conflicts in any way with the general policy of the University regarding special events. Events also reserves the right to change reservations to other spaces with the understanding that, if possible, comparable facilities will be provided when the change is necessary. Client agrees to be responsible for any damages to University facilities and/or property or injury to other persons caused by persons using University facilities. 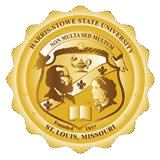 Give us a call at 314-446-8998 or send us an e-mail at events@hssu.edu to begin planning your next event.